A conversation with Jake Klein, Lead Project Manager, Taylor Freezer of Michigan. 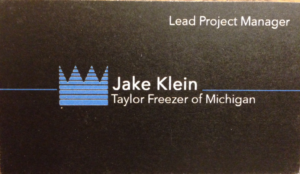 I caught up with Jake at the 2017 GLICFFA Convention in Lansing, MI on February 4th I was working the Taylor Freezer of MI booth helping with their customers and sales reps. 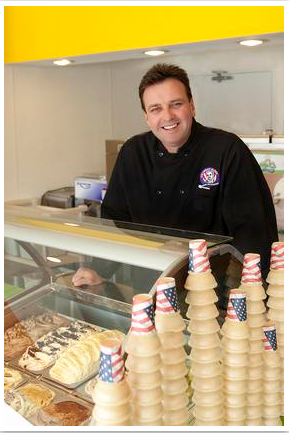 He talks about his roll at the ice cream & food specialty sales company in Michigan. Jake handles the social media, web design, and related internet and marketing areas at the distributorship. He talks about how he is updating the sales reps awareness a of social media tools and how they can continue to grow their sales as well as serve existing customers. Jake tells me how he brings together the internet marketing support programs from Taylor Company and ties it in with his companies sales and service needs. He is working hard to blend the best of the past with the tools of the future. Enjoy and I trust you will find it of value. This entry was posted in Podcasts, Training and tagged c nelson, GLICFFA, SOCILA MEDIA, Taylor company, taylor freezer of mi, TAYLOR FREEZER OF MICHIGAN on February 9, 2017 by George Dunlap.